Oregon Grape is a soft silky sock weight blend of bamboo and merino wool in lavender hues. 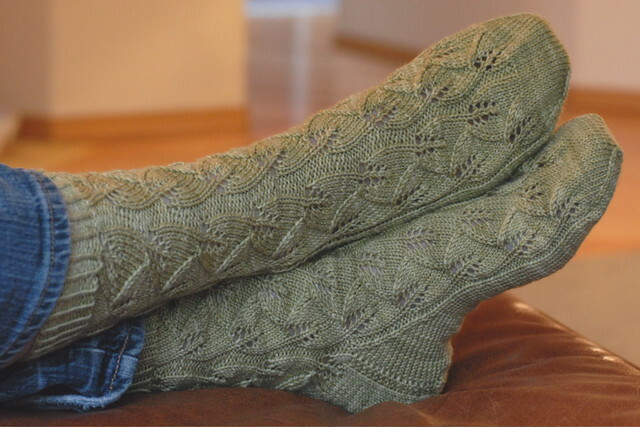 This is a fantastic semi-solid yarn that will showcase fun lace patterns, cables and fancy stitches, and we love it worked up into a pair of cozy, fun socks. As an added bonus this yarn is machine washable so it's perfect for those projects that will see everyday wear (kids' and baby projects especially!). CARE: Machine wash cold. Lay flat to dry.